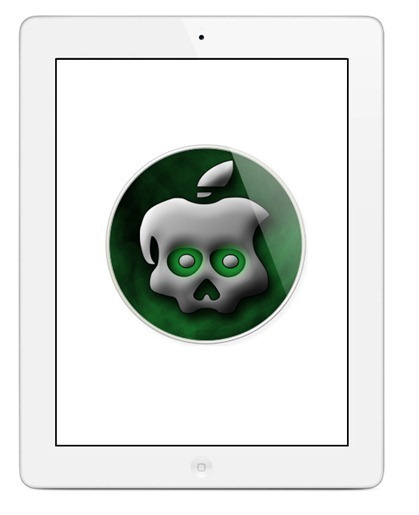 Recent week totally dedicated to the iPad 2 Jailbreak news, in the start of week we heard from unknown group of users which claims that they got the new teaser page of JailbreaKMe.Com, and Comex is about to release his JailbreakMe 3.0. But later we got confirmation from the jailbreaking community that the proof images is fake and comex didn’t announce any such thing, but later yesterday night we got a reply tweet of comex, to his follower on which he said that he will try to release the iPad 2 jailbreak until the Wednesday, June 22. On the other hand, Chronic Dev Team also tweeted and said that they are too working hard on the iPad 2 jailbreak and will soon release it. But earlier today another tweet surfaced on the account of Comex, on which he said that he got “Unionfs”, means faster jailbreak process. Comex tweeted a complete description of Unionfs and its iPad 2 Jailbreak condition with a really long tweet, I have ever seen! “If you don’t know, the stashing approach jailbreaks have been using for years– Cydia’s “Reorganizing Filesystem”– involves moving some large directories from the small / partition into the large /var partition, then creating symlinks from the original to the new location. This both ensures that any additional stuff put in those directories by packages will end up in the /var partition, and frees up space on the / partition for files created outside of those directories. However, the process has some issues, like taking forever to do when you jailbreak (I am a bit fanatical about speed), pretty much requiring the jailbreak to reboot the system to ensure there aren’t any running applications pointing to the old files (ditto about speed, I want a jailbreak to not even require a respiring, as in star, but since star used stashing, some obscure things could cause issues before a reboot), and seriously confusing the sandbox code in the kernel (because each application has a sandbox with a list of allowed filenames, but after the symlink has moved files, the filenames no longer match), requiring that code to be patched (it needs to be patched anyway these days because tweaks have to run under the sandboxes of the applications they’re hooking, but depend on accessing various directories; but it still feels good to get rid of a kludge). With unionfs (which was saurik’s idea originally), new files are created in the /var partition, and merged with files in the corresponding directories in the / partition, so no files need to be moved, no descriptors are invalidated, and I think the sandbox code won’t notice what happened. It also opens the door for upgrading the base operating system without destroying the jailbreak files (although maybe iOS 5 delta updates will already allow this? I haven’t looked at them yet). I’ve wanted to do this since literally a year ago (that’s the date of the nullfs checking, since I was dumb and thought I wanted that instead of unionfs), but I never got around to making it work properly. According to the tweet, iPad 2 jailbreak is almost ready just need to get rid from the little crashes and also the next jailbreak which come from Comex use the above mentioned unionfs method, and perform the jailbreak task quickly than ever.